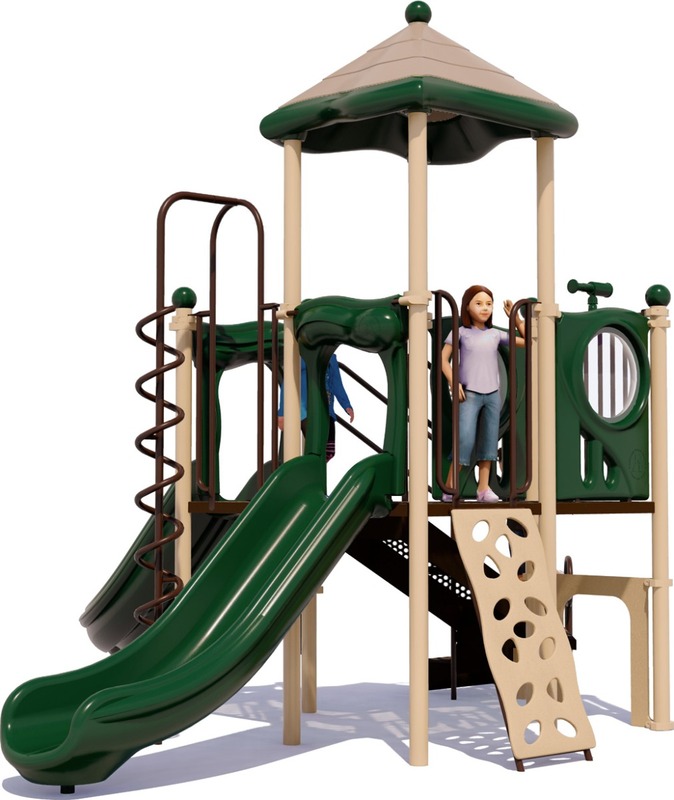 With this compact play structure you're sure to provide many Giggles & Grins as its name suggests. 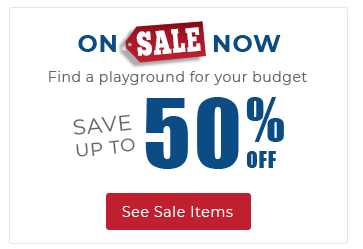 And, because it packs a lot of outdoor recreation into a small space, it will make a great addition to your daycare playground, or other organization or facility. 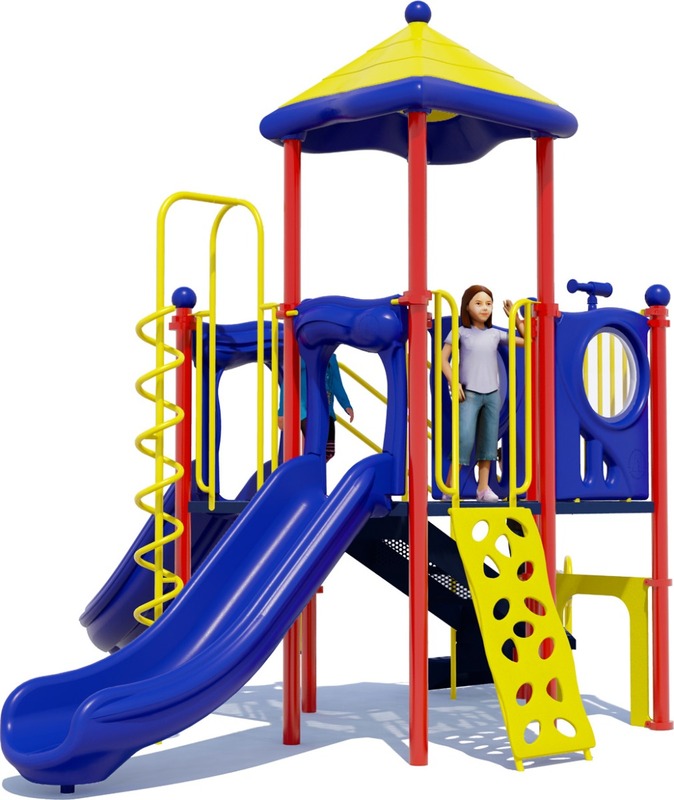 At American Parks Company we ensure that all our commercial play structures provide the maximum amount of benefits to your children as possible. A significant amount of childhood development research has gone into the design of the play components so that children of all abilities gain important physical and mental skills in the guise of simple play. 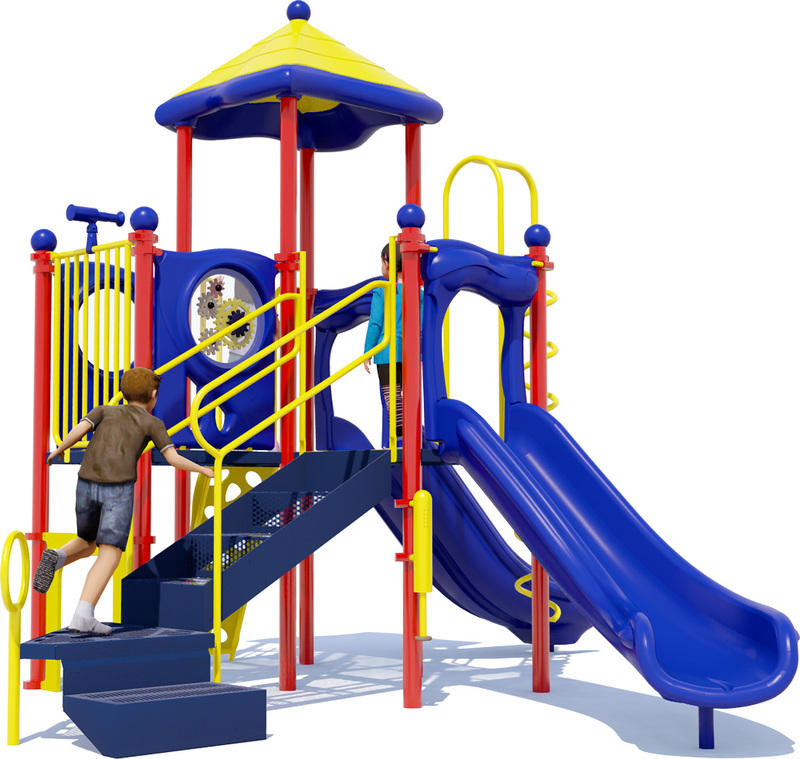 The Giggles & Grins commercial playground equipment provides physical challenges that improve both children's fitness and confidence in the use of their bodies. It also houses play activities that encourage social interaction as well as individual discovery. The plastic activity panels, and even the roof, are designed to be subtle and fun ways of bringing education outdoors. 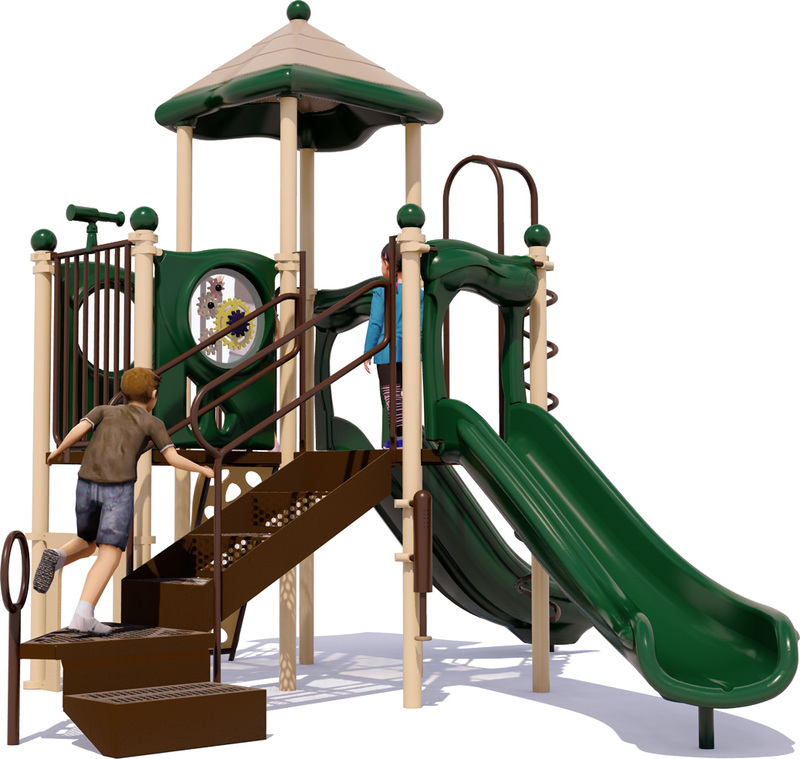 In this way, every component provides an immense value, but is also constructed with high-quality materials to be a long-lasting investment in your children and organization's facilities. 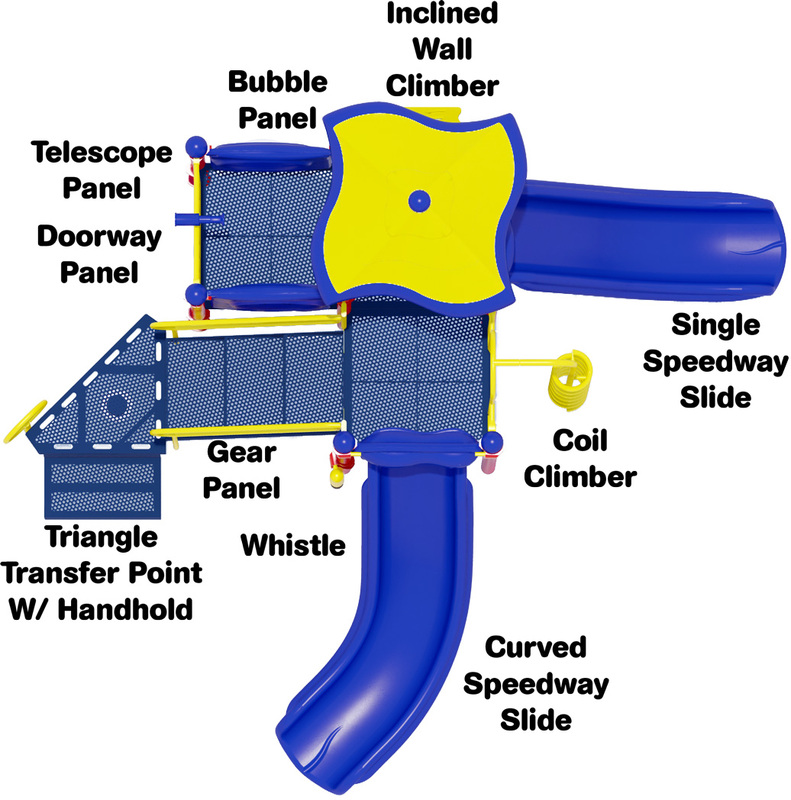 2 Slides,2 Climbers,4 Activity Panels,Rosetta Roof,and much more!